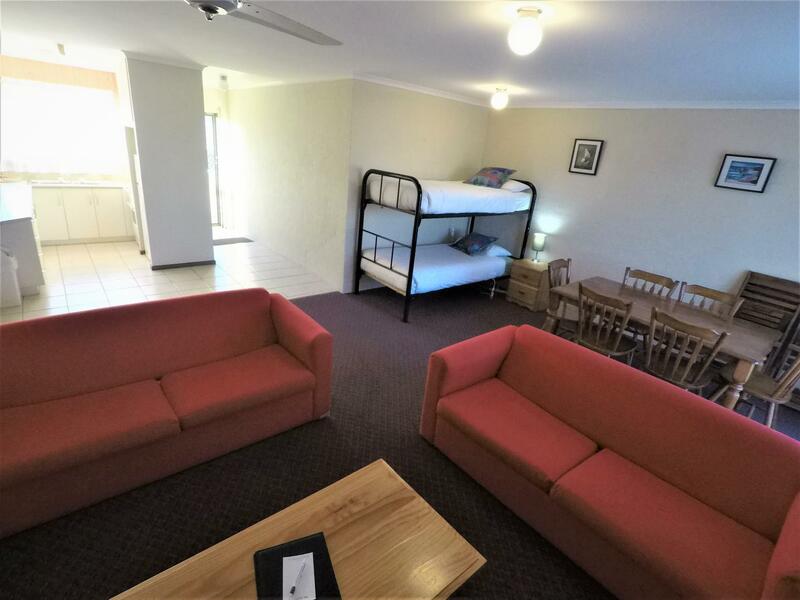 يشكل فندق Best Western Apollo Bay Motel بموقعه الممتاز في قلب خليج أبولو نقطة انطلاق ممتازة لاستكشاف طريق المحيط العظيم - خليج أبولو. يحظى هذا الفندق ذو 3.5 نجمات بمكان ممتاز يسمح بالوصول إلى المعالم السياحية الأكبر في المدينة، فهو يبعد مسافة 1 km عن صخب المدينة. يشكل هذا الفندق ملاذاَ مريحاً للاسترخاء ويمنح زواره فرصة للاستجمام والتجدد، وهو يقع على بعد خطوات من المعالم السياحية الكثيرة للمدينة كمثل: Marriner's Lookout, Maits Rest Rainforest Walk. إن Best Western Apollo Bay Motel حريص على توفير الراحة للنزلاء، فلا يوفر الموظفون جهداً في تقديم أفضل الخدمات وضمان حسن الاستقبال. هذه بعض الخدمات الموجودة في هذا الفندق: واي فاي مجاني في جميع الغرف, خدمة التنظيف يوميًا, خدمة غسيل ذاتية, تخزين الأمتعة, واي فاي في المناطق العامة. في Best Western Apollo Bay Motel غرف نوم يزيد عددها عن 26 صممت بذوق وعناية لتوفر لك كل وسائل الراحة . بعضها يحتوي أضاً على تلفزيون بشاشة مسطحة, رف للملابس, قهوة فورية مجانية, شاي مجاني, بطانية كهربائية. يقدم الفندق مجموعة رائعة من الخدمات كمثل مسار جولف - ضمن 3 كم, حمام سباحة خارجي, حديقة، لجعل إقامتك تجربة لا تنسى. مهما كانت دواعي سفرك فإن Best Western Apollo Bay Motel هو خيار ممتاز لإقامتك في طريق المحيط العظيم - خليج أبولو. Walking distances to cafes, IGA supermarket and restaurants. We got upgraded to a bigger room which was nice. Friendly service. Great location. Room was next to the laundry though which was a bit noisy but not too big a deal. Couldn't ask for better service. The staff wer more than helpful, very polite and friendly, The pool was lovely in the heat and the bed was huge. pub closed to the motel was very noisy til late night, in the morning from 4:30am bin track was start working and last for long time, almost couldn' t sleep for the whole night. Really tired for second day driving. The studio room we had (Rm 203) was spacious and comfortable with a renovated shower ensuite - top rain shower head, too! Was able to park right outside the door. Robyn was very thorough with the suggestions of places to see, and gave us the idea of returning to Melbourne after seeing the 12 Apostles after checkout (instead of going there and back to Apollo Bay. The motel's location is fantastic, 20metres off the main road, so accessible to the many shops and cafes, and the beach, too. Would definitely stay here again. 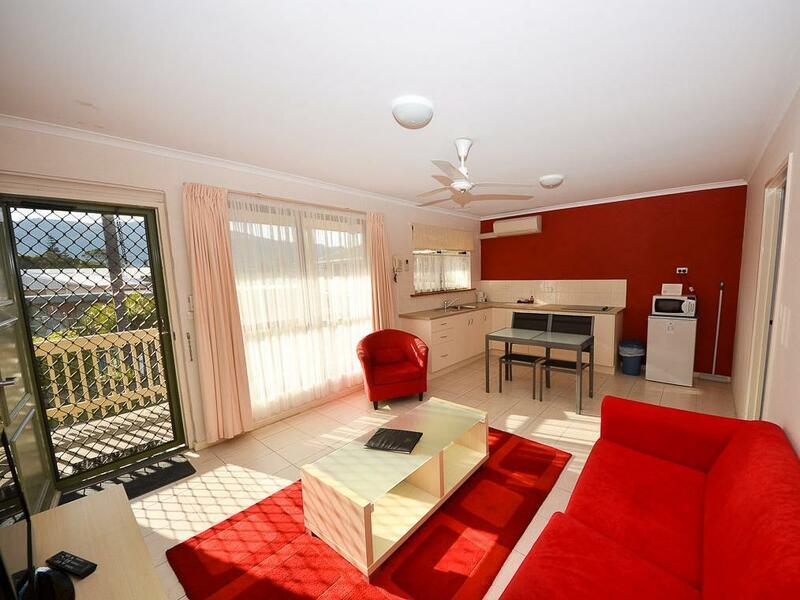 Awesome value for money, close to action and surprisingly nice modern rooms with all the mod cons. Friendly staff too. Very nice staff, warm greeting every time we passed there and provided us with useful information about where to eat and visit. The rooms are lot better than I thought would be. Looks pretty new in the room with good cooking facility. Very clean. Just off the main road, but turn about 50m onto the side street which provides good access without much noises. Highly recommended. We stayed here for a night after a long drive from Phillip Island to Great Ocean Road. It was quite a good stopover and the Motel is situated with lots of eatery nearby. Be sure to get your groceries near Coles / Woolsworth, as the groceries nearby selling price is on the high sides. Must Try: Dolley's Ice Cream and Remember to Grab some beers (wide selections of beers) at Great Ocean Road Brew House. Motel Staff were friendly and recommend us to Dolley's Ice Cream and lucky we get there early! And they were really yummy! Nice motel with amenities nearby. The staff is very helpful. Walking distance to nearest shop. Room was clean. Can request for BBQ facilities. A good stay at Best Western. Dear Herman, Thank you for your feedback. We are currently under taking improvements to the property. Regards, Matthew, Manager. Was a very welcoming hotel, staff was amazing. Bed was also extremely comfortable. Very walkable location. Would return! Dear Amber, It was great to have you stay with us and thank you for your lovely review. We are pleased you enjoyed the bed and our central location. Thank you for for taking the time to share and we look forward to welcoming you to stay with us again soon. Kind Regards, Matthew, Manager. Good place to stop by and spend more time around Great Ocean Road. Hotel staffs are friendly and helpful. There are nearby mini market and bakery within walking distance. Short walk to the beach for sunrise view is a must. Dear Alex, Thank you for your review. We are glad you found our central location to the town of great benefit. Thank you for the feedback on the sunrise over the ocean viewed from the beach. 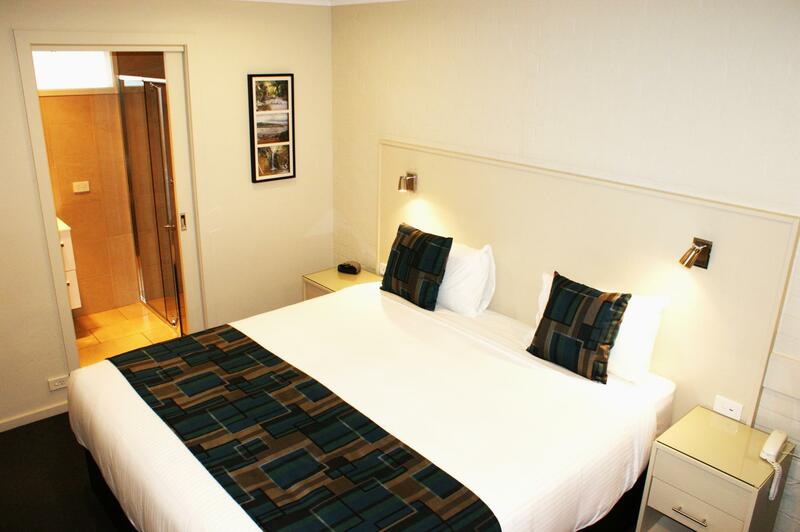 We hope you will stay again on your next visit to the Great Ocean Road and Otway National Park. Kind Regards, Matthew, Manager. We checkin quite late, the checkin was not too long. The motel is quite popular, maybe because it is near to Great Ocean road. The room is small, and there was no cooking facilities as what I expected as a motel. There is only a small fridge and a boiler. For this small room, where I paid more than A$170 with no cooking, I will not stay here again. Dear Yeaw, Thank you for taking the time to share your thoughts of your stay with us in June 2016 during a public holiday long weekend. 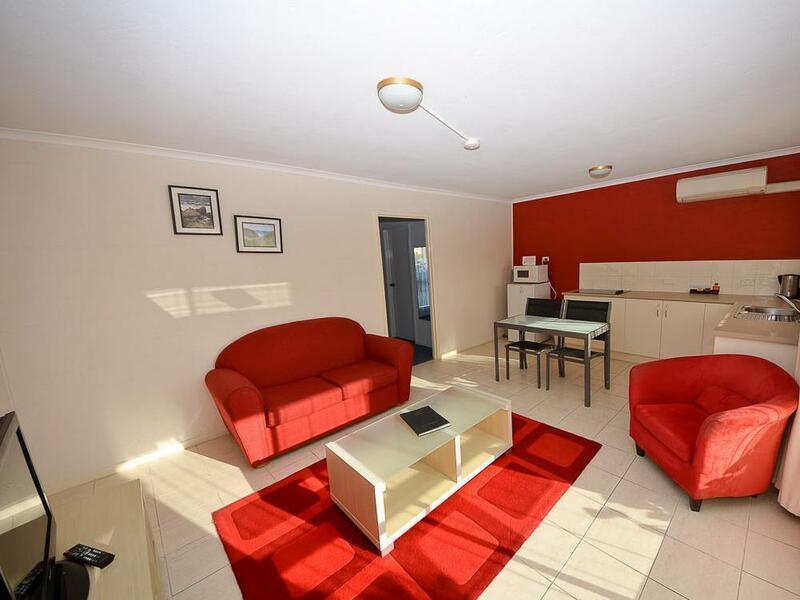 We offer apartment style accommodation with cooking facilities which also have more space than our classic style motel rooms. This accommodation type may have better suited you needs. Kind Regards, Matthew, Manager. Not too bad. There were 4 adults and a toddler and newborn, so it was tight and only 1 large bed and bunks and we had to pay extra for a single. The bathroom was large but had a tiny shower. The room was clean but not a very large living area. The pool area was very tightly fenced in and was in the middle of the carpark. We are lucky the carpark wasn't busy. I would say this isn't a family venue but probably fine for others. Staff were helpful, clean room but small hard to fill up jug for hot water. One incident with no follow up on condition not good. Dear Kathleen, Thank you for taking the time to share you thoughts on your stay in 2015. We have recently had some management changes. We also have some great deals during the off peak season you may like to try. Regards, Matthew, Manager. Close to pub, short stroll to beach and shops, clean and very comfortable! !